When you travel through Greece, every meal is a celebration. Pop into an ouzeri in Athens, and you’ll be snacking on stuffed grape leaves (dolmades) and downing anise liquor while loud musicians play in the corner. Grab a two-euro gyro on the tiny island of Hydra, and you’ll stuff down that crispy meat pocket with abandon as the streetlights dim. Maybe you’ll order shrimp saganaki (a seafood dish with an ouzo-tomato sauce and hefty chunks of white cheese) at a classic taverna, where a burly man will sit next to you and explain all the other items on the menu. If you’re in Crete, your meal will end with complimentary yogurt, spoon fruits (like preserves) and a shot of the astringent moonshine known as raki. A lot closer to home, a handful of new Greek joints have burst forth all over Boston to join the party. The Seaport started hocking meze at the hip Committee last year, and James Beard winner Jody Adams opened her Fenway fast-casual pita joint, Saloniki, in March. Michael Schlow started serving his sophisticated take on Greek cuisine across the street from the Park Plaza this fall. But your best bet for the true Greek experience — downing strong liquor or cheap beer over roasted meats and stewed veggies — can be found in the longstanding delis and hidden tavernas spreading from Dedham to Brighton. Whatever you crave, from the modern to the tried-and-true, we’ve got you covered. Just don’t break any plates — unless asked. In Greece, gyro shops hide in dingy storefronts, where massive vertical spits spin hunks of pork, beef or chicken. The edges of the meat get charred, but the juices run through leaving the center tender and juicy. Chefs will carve thin slices and serve them in a pita or with a side of rice. 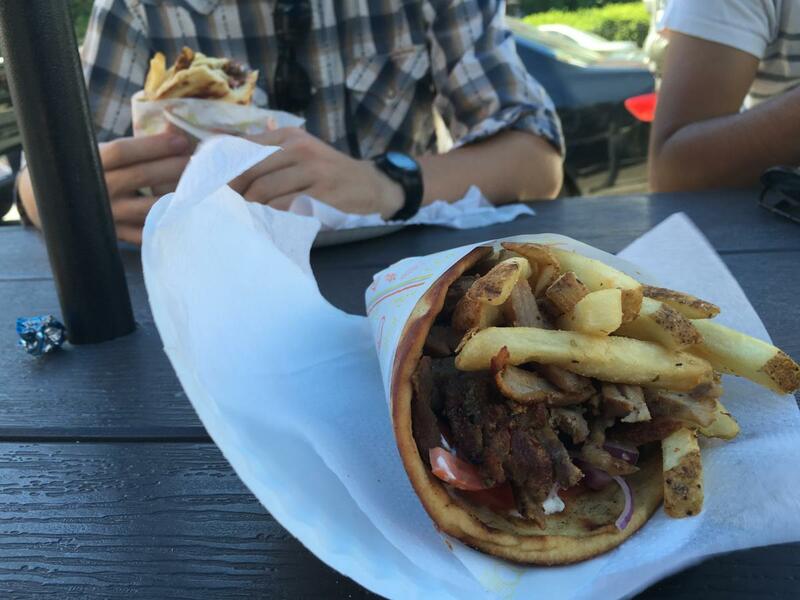 In Greece, no gyro is complete without a handful of fries, a swab of tzatziki, tomatoes and onions. Gyro originated in Turkey, where the Turks referred to the dish as “doner.” Gyro spits traveled through the Middle East, where the dish took on the name shawarma. If you walk five minutes in any direction in Brighton, you’ll pass a sub or pizza shop with shawarma on the menu. If you’re looking for the traditional Greek gyro, though, look no further than Fenway’s Gyro City. Owner Paul Christopher offers traditional gyro in roll-ups, plates and a la carte, with an expansive menu of fresh options. Greek employees slice their juicy spit-fired pork and chicken throughout the day, for hefty roll-ups packed with French fries, tomatoes, tzatziki and herb-laden seasoned onions. 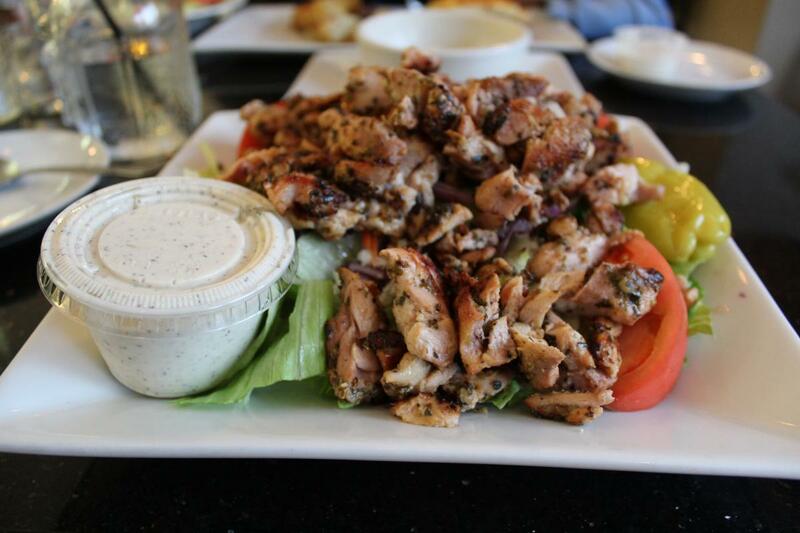 The meat is juicy and flavorful, with all those crispy edges that drive gyro fans wild. 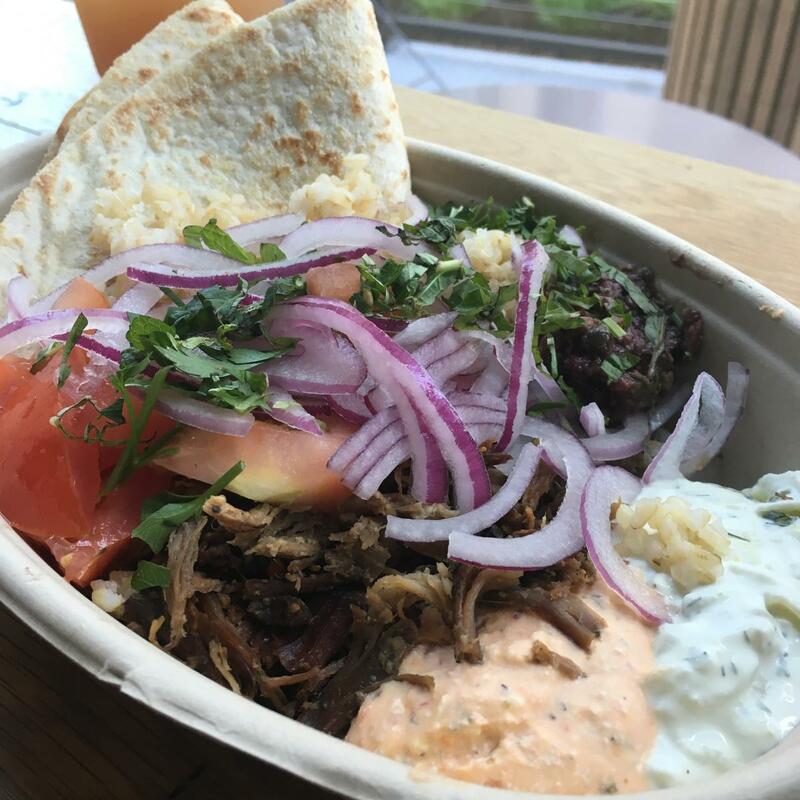 Jody Adams, the James Beard winner who recently left longtime haunt Rialto, opened two Mediterranean joints this year: Porto, a Back Bay dining room, and this fast-casual pita shop in the heart of Fenway. Named for the Northern Greek metropolis Thessaloniki, this shop is far from the typical souvlaki joint. Fillings include lemon oregano chicken, Adam’s take on the popular lamb meatball keftedes, and honey-garlic braised pork shoulder. You can build your own or choose one of the restaurant’s creations, like the tasty Herc with pork shoulder and spicy whipped feta. Many of the ingredients are locally sourced, so you can feel good about the Greek fries you’re about to toss down your gullet. Grab a pita, slather it in tzatziki and skip the footlong frank at the next Sox game. In Athens, the ouzeri is the after-work meeting place, in the dead of winter or the striking heat of summer. Lone men sit outside shops sipping cups of ouzo, a strong liquor made from anise, and snack on small dishes known as mezedes. Salty fried sardines, stuffed grape leaves and cracker-like baskets called dakos often appear on these tables as the ouzo disappears. The night rolls in and musicians begin to play in the corners of these restaurants as the customers crescendo. Committee's club hoppy vibe in Seaport is an updated take on the ouzeri experience. Get a Spirits of Greece flight for a taste of how the Greeks drink, including ouzo, paint-thinner-esque Tsipouro and Mastiha, a liqueur made from the sap of a Greek island tree. Committee fills their dakos with a tasty watermelon and tomato salad, and their dolmades are shockingly fresh with crunchy sweet pine nuts and firm grape leaves. 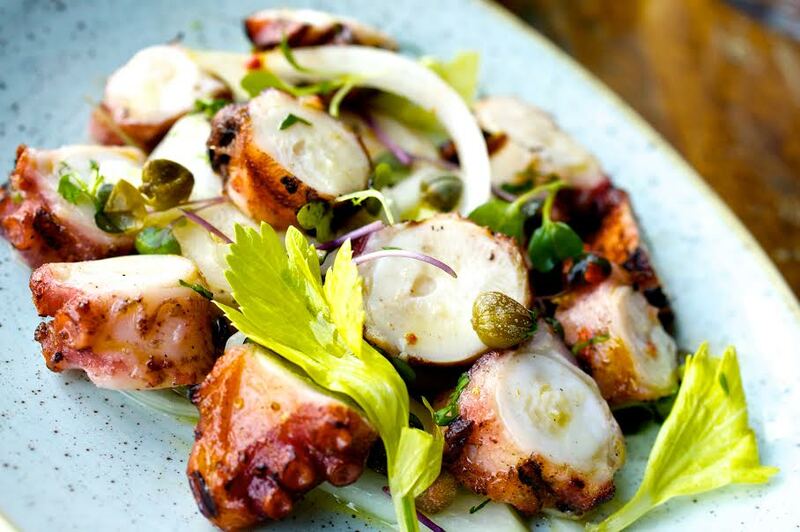 The grilled octopus is salty and fresh, with kalamata olives, sweet sundried tomatoes and white bean purée. Let the music thump, continue to munch and remember — you don’t shoot ouzo, you sip. A taverna is a traditional Greek restaurant and bar, with large paper tablecloths held in place with metal clips and retsina served in shining copper mugs. Outside of cities like Athens or Thessaloniki, a taverna usually has a limited menu, if they have a printed out menu at all. In central Crete, tavernas usually feature a couple: a man taking orders and a woman cooking the dishes. In Monastiraki, a tiny mountain village in Crete’s Lassithi region, the man who takes our order lumbers over and takes a seat next to us, to tell us what the restaurant is serving that evening. A traditional taverna isn’t complete without a forthright server: More often than not, you’ll hear, “No, that’s no good. Order this.” If you’re smart, you’ll listen. Doretta is a fine dining take on Greek cuisine, with modern art on the walls and placemats instead of the paper-wrapped tables. Still, you get very innovative takes on the classics: cocktails with Mastiha and honey, tzatziki with garlic oil so it stays smooth, and crunchy keftedes with overwhelming oregano and black sesame. But the plain-old spinach pie is a perfect, traditional version, with custardy spinach filling and cheesy egg almost like a quiche. 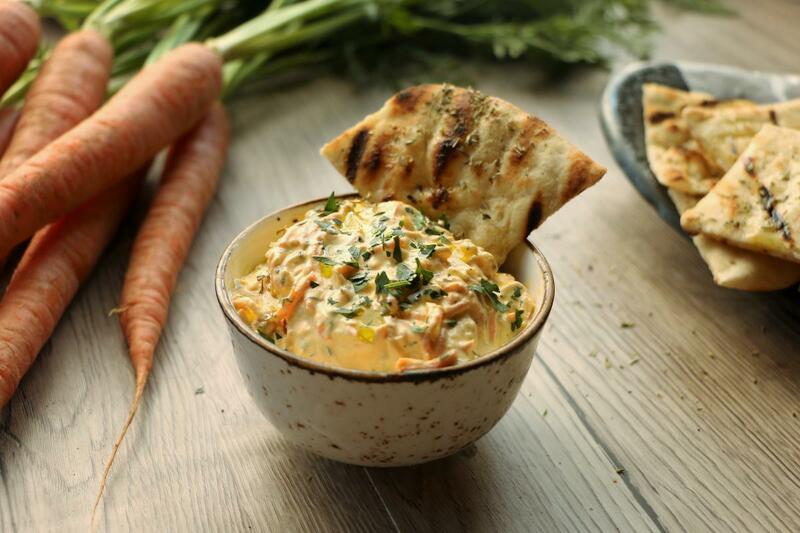 The dips are a must-try, a distant cousin to classic dips at traditional tavernas. Although all of these restaurants present beautiful reimaginings of Greek cuisine, the rustic quality of traditional tavernas is truly the crave-worthy element of Greek cooking. You don’t miss watermelon and tomato dakos; you miss the hearty crunch of a tomato-stuffed cracker when paired with too many glasses of ouzo. A lovely square of spanakopita on a clean plate is nice, but it doesn’t beat pointing to the whole pie after the waiter brings you to the kitchen to order. Greek food, in essence, is hearty and simple comfort food. It’s slow-cooked braises and casseroles, splashes and dashes instead of meticulous measurements. So when you’re going for the classic, real deal taverna experience, you have to hit the deli with the tables in the front, with rotisseries on the spit. You have to order an Alfa beer, and order a dauntingly large pile of food for a shockingly low price. If that’s your move, Esperia Grill is the place you call home. Esperia Grill, a longtime favorite Brighton kouzina, has a vast menu that rarely disappoints. Portions are generous and beyond fairly priced, from $4 bowls of soup to $5 house-made spreads. To call a food “kind” is a little over the top, I know, but no word better describes the inexpensive avgolemono — the warming Greek soup with egg, lemon and rice shares the consistency of porridge, and tastes bright with citrus and flavorful chicken stock. The traditional spreads are expertly made and taste just like the homeland’s — for instance, the tzatziki’s base yogurt is the serious stuff: thick, creamy, and not at all sour. Hefty dinners like Moussaka (a ground beef casserole) and rotisserie chicken come with multiple hot sides and Greek salad — the roasted potatoes are classically done, crispy on the outside, with oregano and lemon juice. I’ll spend my summer nights at Esperia, and find the flavor of fresh lemons at the bottom of a bowl of avgolemono. For now, that’s enough.